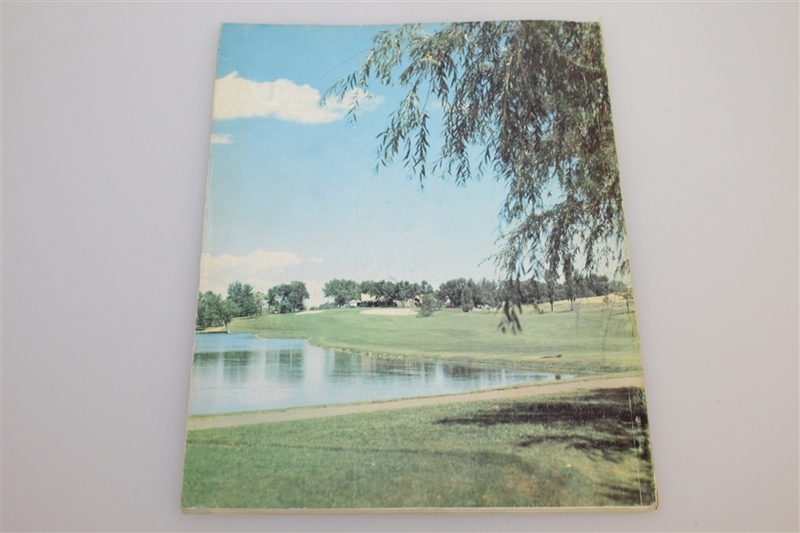 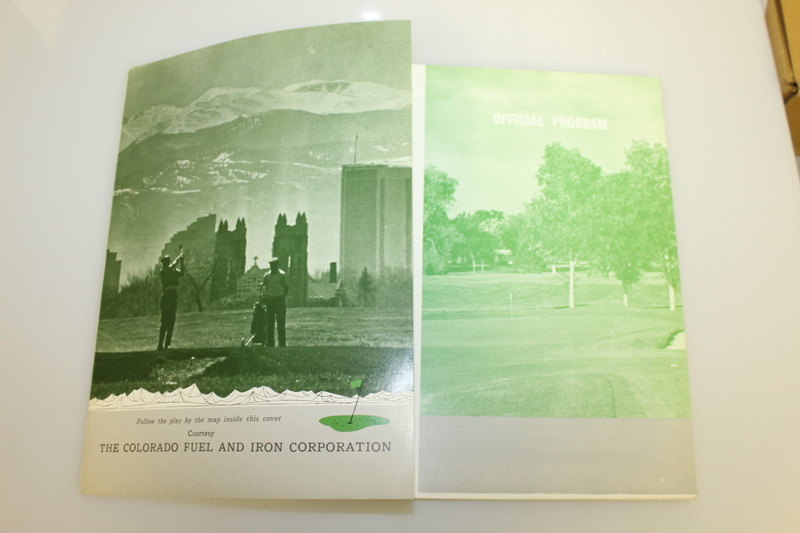 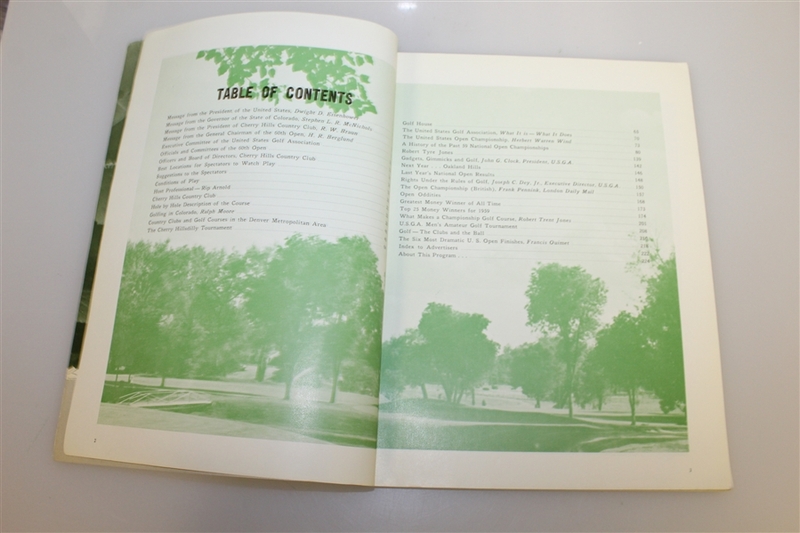 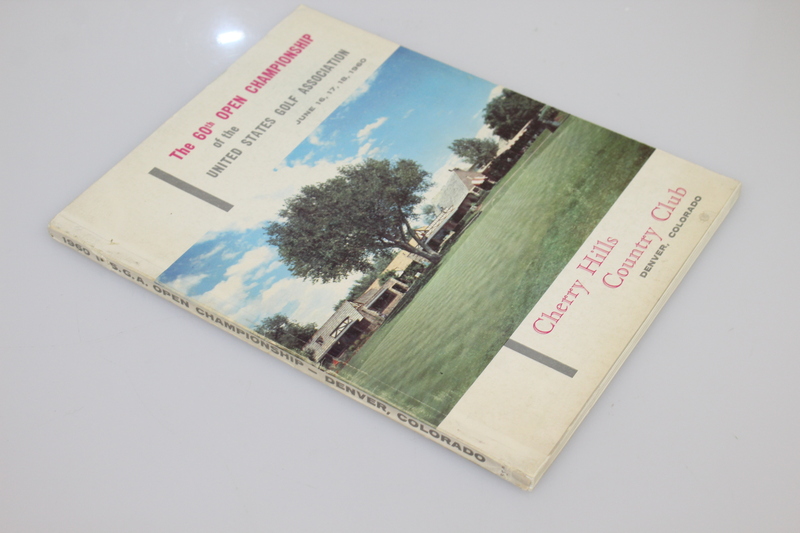 Here we have a program from the 1960 US Open at Cherry Hills. 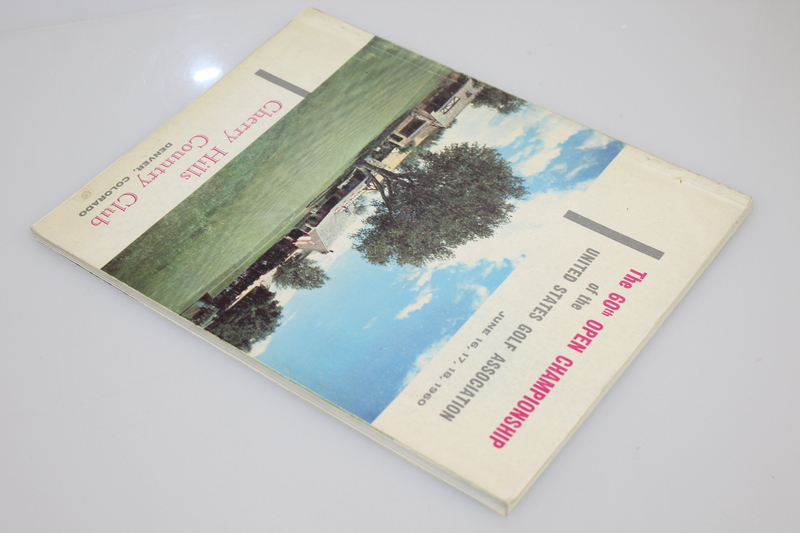 It comes in good condition, showing some creasing at the spine. 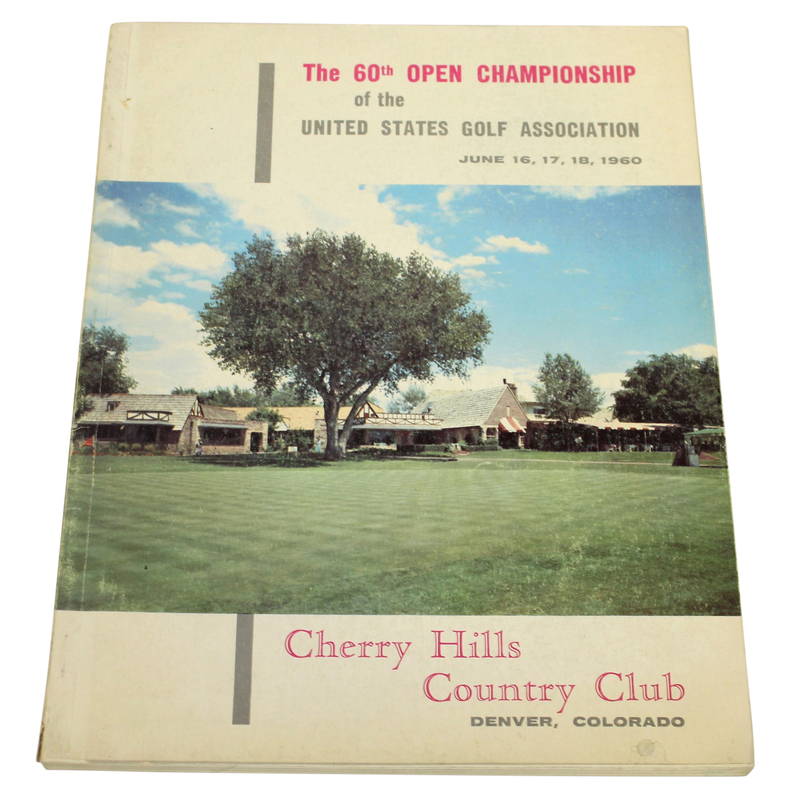 Arnold Palmer won the 1960 US Open Championship, a year known for a farewell to legend Ben Hogan, and a welcoming for Jack Nicklaus. Let's not forget about Palmer and 'The Charge,' which came after Arnie came back from seven strokes down entering Sunday's round before he went on to register a final round of 65 to beat Nicklaus and the rest of the field.